15 June. On Monday I went over to Blackmoss Pot for the afternoon with Alice, Amy, Tess, Arthur and Ryan which was fun but a bit chilly! 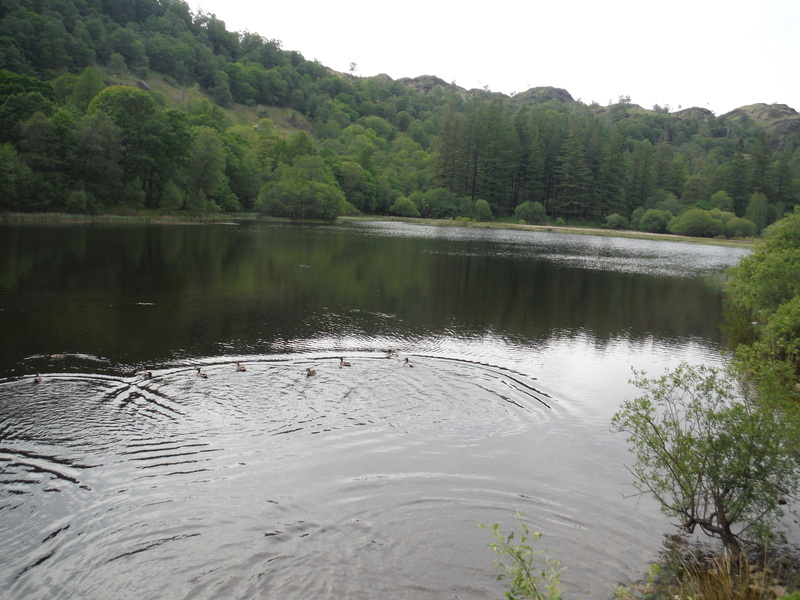 After I left them I drove over to Coniston to spend a couple of nights in the Coppermines youth hostel. I was bowling happily along the road when suddenly I realised that there was water to my right…. So, like any good tarn swimmer should, I slammed on the brakes, swerved across the road into a layby and got out my map. 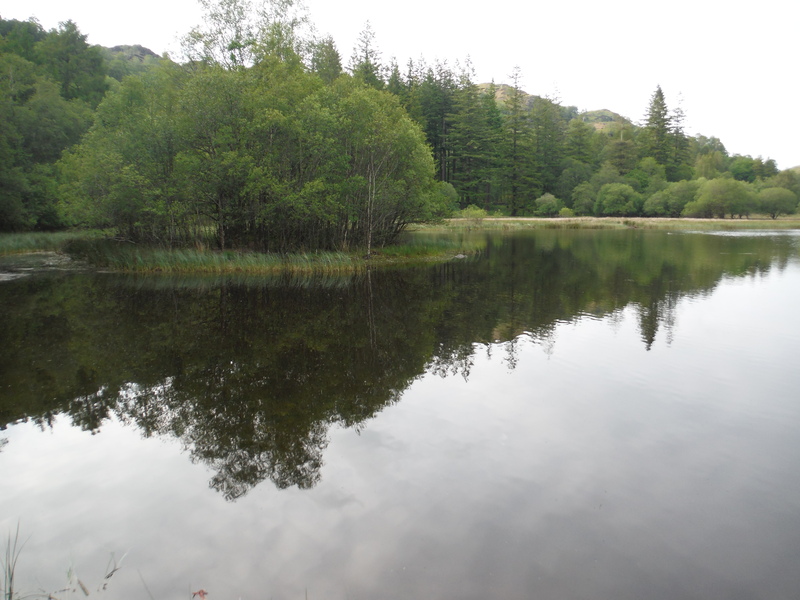 I was by Yew Tree Tarn. I ha…d wet swimming gear from the afternoon and I didn’t want to get anything else wet because I was planning lots of swims the next day. It was getting late. My towel was wet. I decided to go for it. Not wanting to get my wet shoes wet, I hobbled along the gravel path around the tarn in bare feet and damp shorts and bikini. The path goes through a little wood and it was all very peaceful at 7.00 in the evening. I could hear the birds singing and the little plops made by fish jumping out of the water to catch flies and smell the flowers all around me. 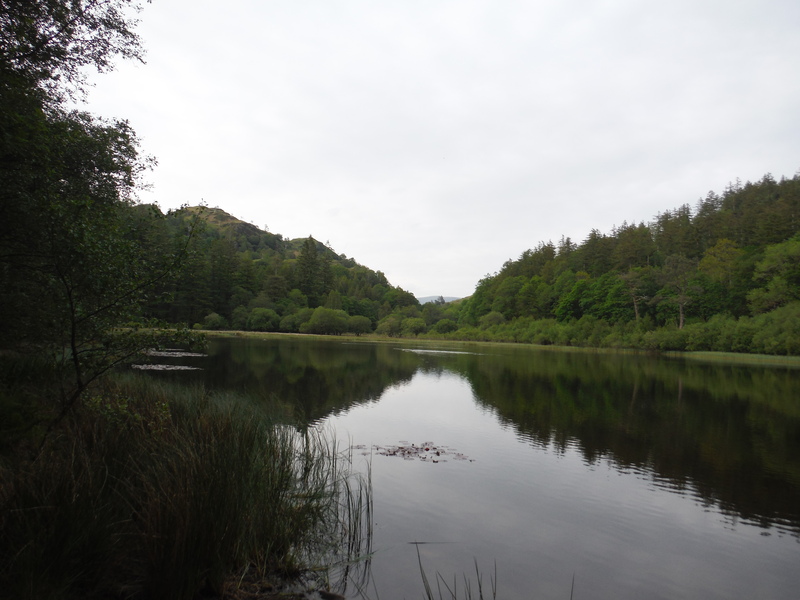 I found a little bay with a bench overlooking the tarn next to a little island and set off from there. Getting in was pretty easy (although I did see an old tin can on the bottom – this is why you should wear shoes folks! 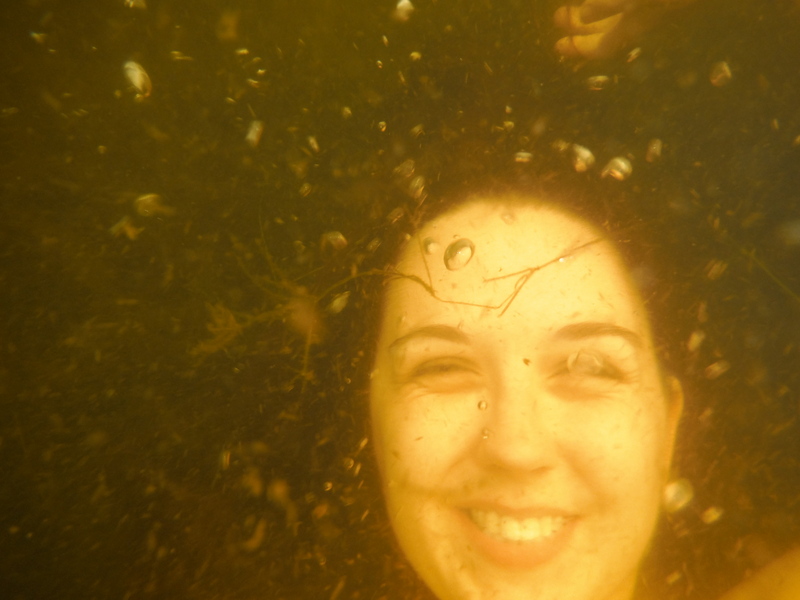 ), the water was fairly warm, especially compared to Blackmoss Pot! 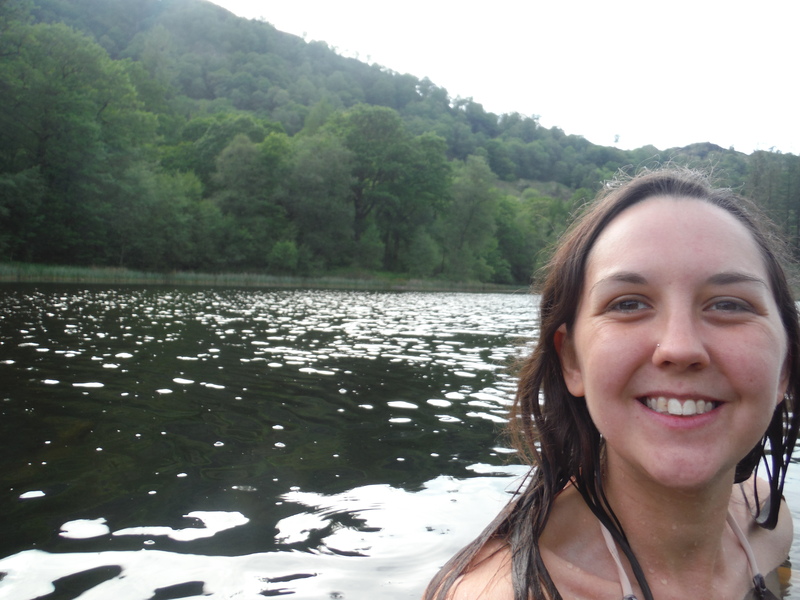 It was a lovely swim across although the tarn is very shallow (I tried a few times and could always touch the bottom) so I spent a lot of time swimming through weeds. It was so nice in fact that I stayed in for a few minutes extra just swimming around and enjoying the last little bit of evening sunshine that finally poked through the clouds (missing the tarn by only a few feet!). The good thing about this tarn is that it’s right next to the road and there’s a layby to park in alongside it. There’s a little path all the way around which I would definitely recommend for a stroll.